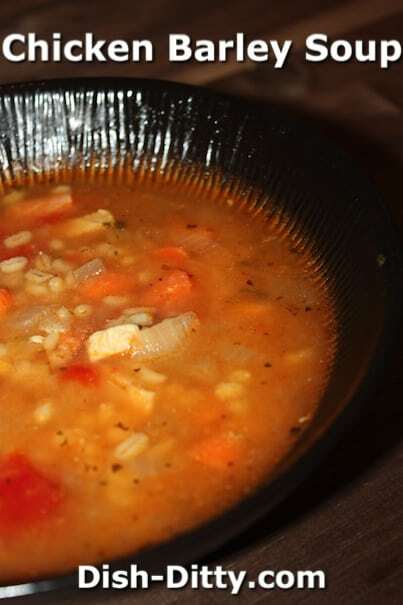 Winter means warm soups, and what better soup than Chicken Tomato Barley Soup. It’s a great Clean Eating recipe you will love to make for your family. 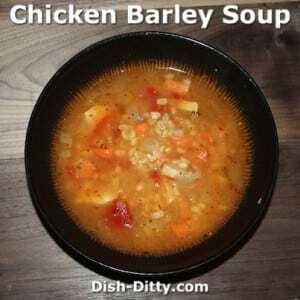 In large stock pot, add oil, onions and carrots. Cook until onions start to soften. Add cut up chicken and sprinkle on celery salt. Cook until chicken is half cooked and lightly browned. Add the vermouth and continue cooking for 2-3 minutes. Add the stewed tomatoes and, using the can from the tomatoes, add the water. Then add the better than bouillon, parsley and bay leaf. Bring to a boil. 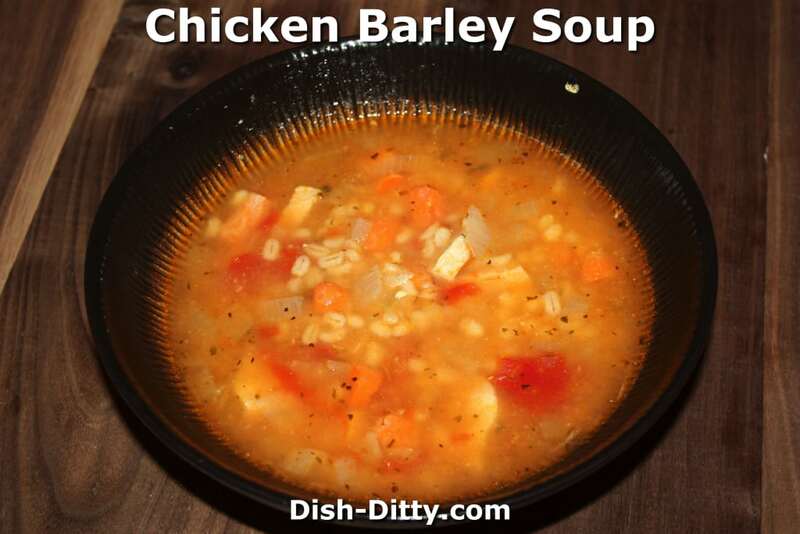 Add the rinsed barley and bring back to a boil. Reduce heat to a simmer and simmer covered for 45 minutes. Remove from heat and let rest off the heat for 10 minutes before serving. No Replies to "Chicken Tomato Barley Soup Recipe"